Just as the Richmond Night Market billed it, it has been an amazing summer. However, with the shift into autumn, sadly the night market will be closing for the season on October 8, 2018. On a positive note, it means that there’s still time to visit the vibrantly bustling Market, browse its many retail stalls, and, of course, feast on the wide array of food items offered by its numerous vendors. With such dizzying selection, it’s always a good idea to go in with an eating game plan. 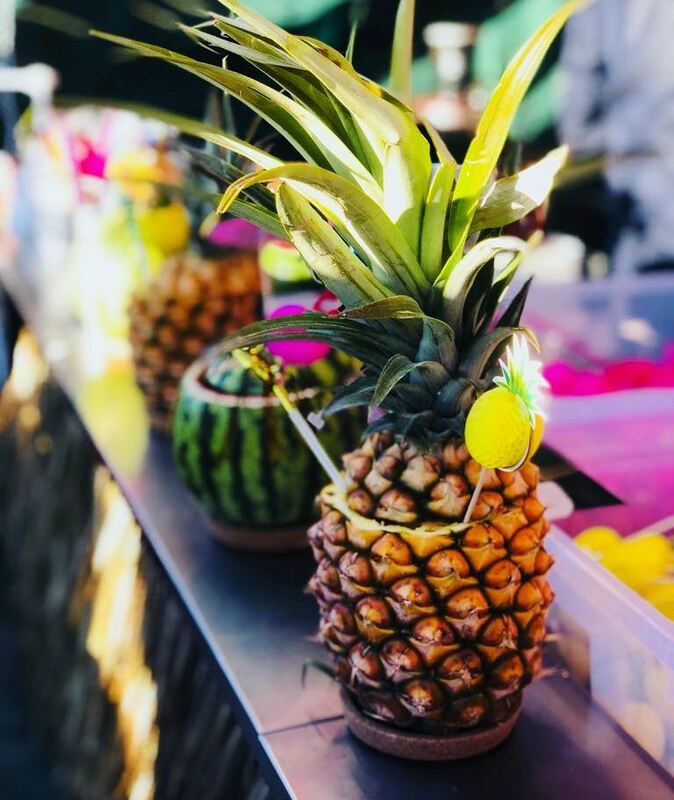 Here are ten items for sipping and filling your belly, some classic night market fare and others newly emerging favourites. The theme for this year’s Night Market was “Seafood Heaven”, and indeed it has been. Besides the many vendors incorporating seafood in their dishes, the market has a special booth devoted to its seafood festival. 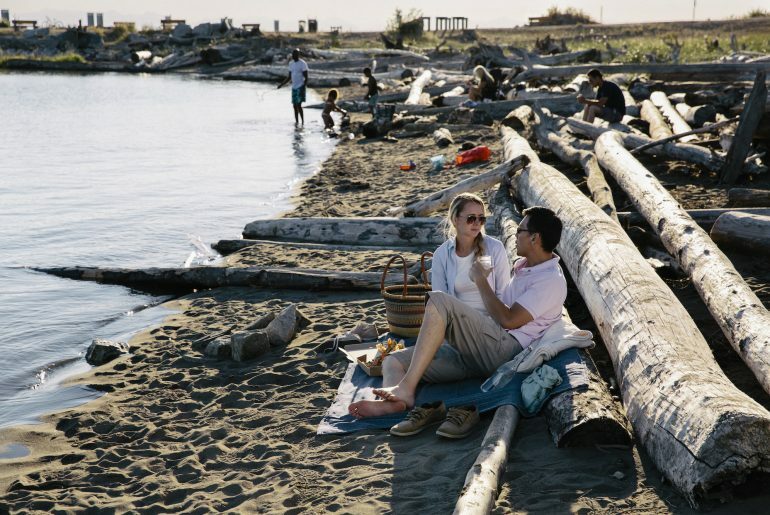 Richmond’s unique coastal location makes it particular suited for celebrating the bounty of the sea. 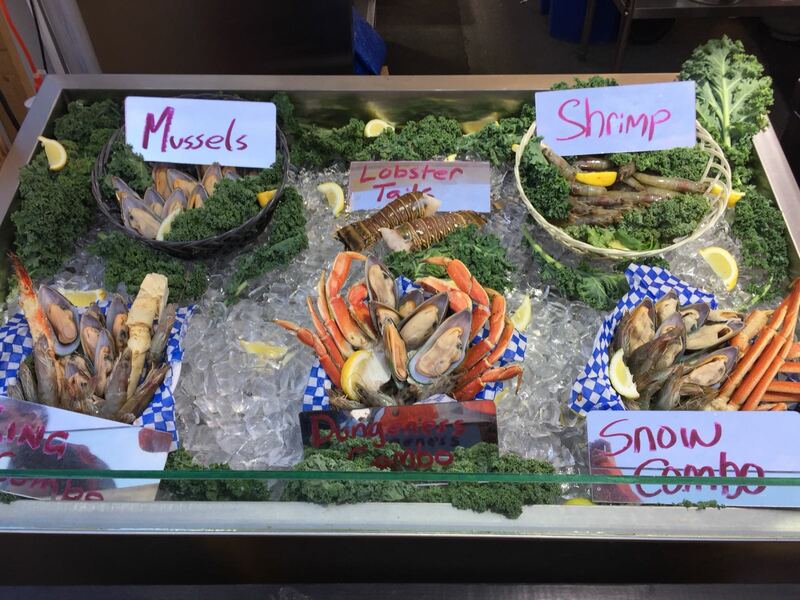 Attendees can choose from all sorts of fresh seafood options, including snow crab, king crab, lobster, mussels, and shrimp. Prepare to get crackin’ and dig in. 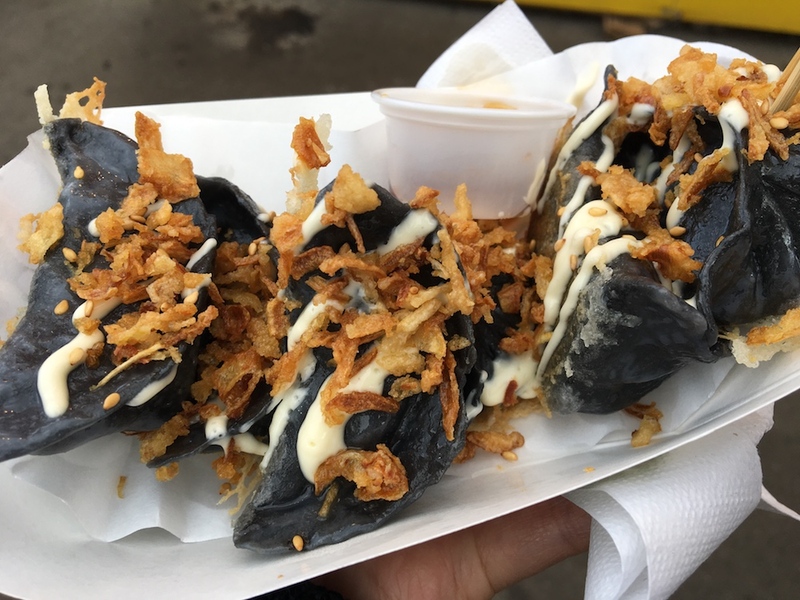 There is a plethora of dumplings to be gorged on at the market, ranging from traditional Chinese har gow to the more innovative versions to be found at Dumpling Master. Chef Fung has created three types of gyoza: vegan green spinach, red kimchee beef, and black truffle pork. They’re not only flavourful, but also visually appealing with vibrantly hued wrappers. Top them with additional ingredients, like bonito flakes and sesame seeds, for additional texture and taste. Chef James of Xin Jiang Man BBQ has developed a cult following for his expertly grilled skewers, as well as exuberant showmanship. 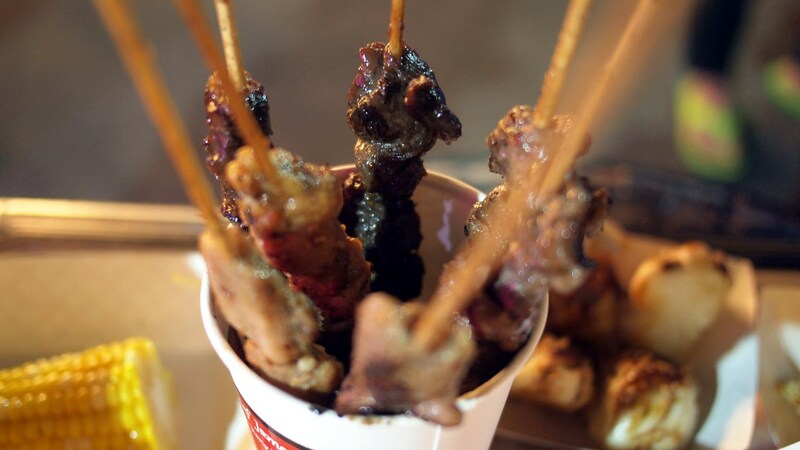 Although he offers a variety of choices (eg chicken, beef), by far the most sought after are his lamb ones, seasoned with freshly ground cumin straight from Xianjiang, China, and chili pepper. The meat has wonderful texture, and the spices lend it an earthy heat. 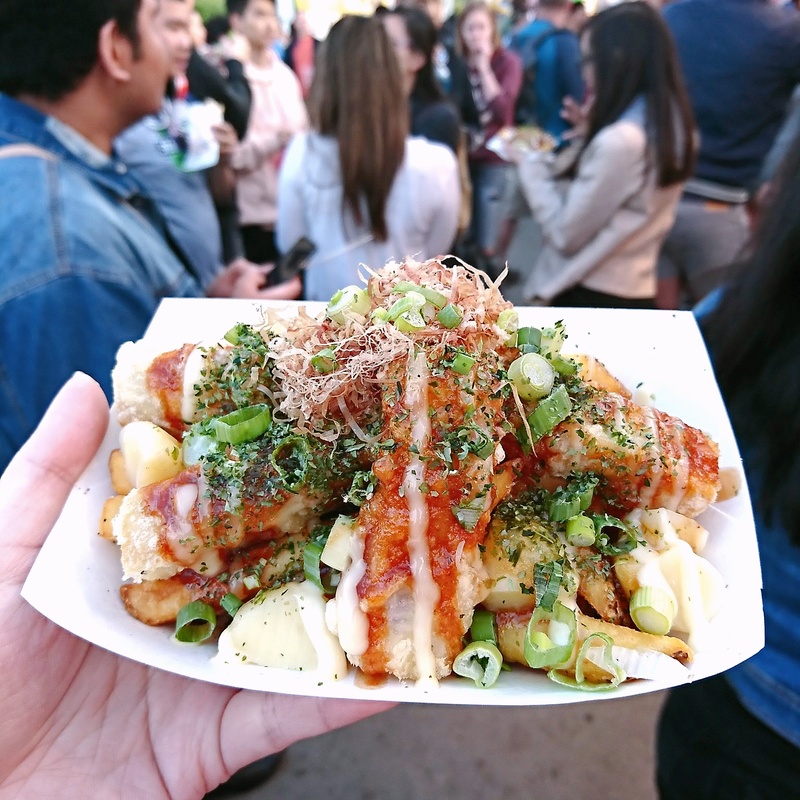 For the ultimate East meets West mash-up, make sure to visit Okonomi Bites for their highly original Japanese rendition of this classic Québécois comfort food. You’ll find crisp fries and cheese curds, but also battered seafood, green onion, and drizzled mayo. Who knew that poutine could become even more of a guilty pleasure? The deep fried pork version is also highly addictive. 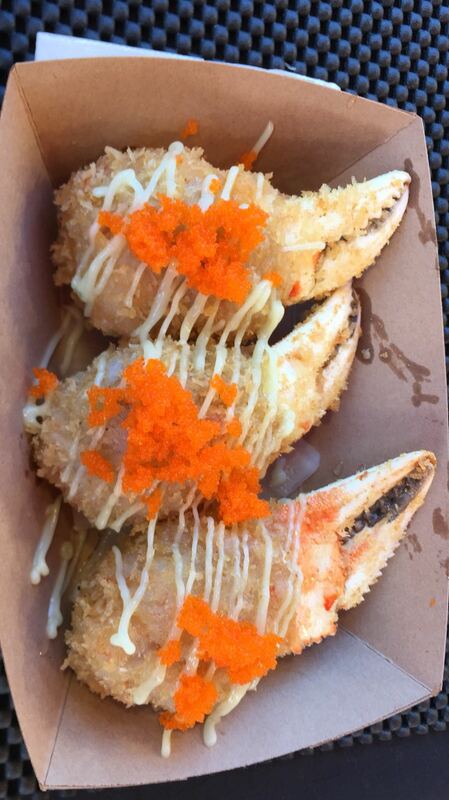 A highlight of your final night market visits is sure to be the deep fried crab claws at Mr. Crabzy. 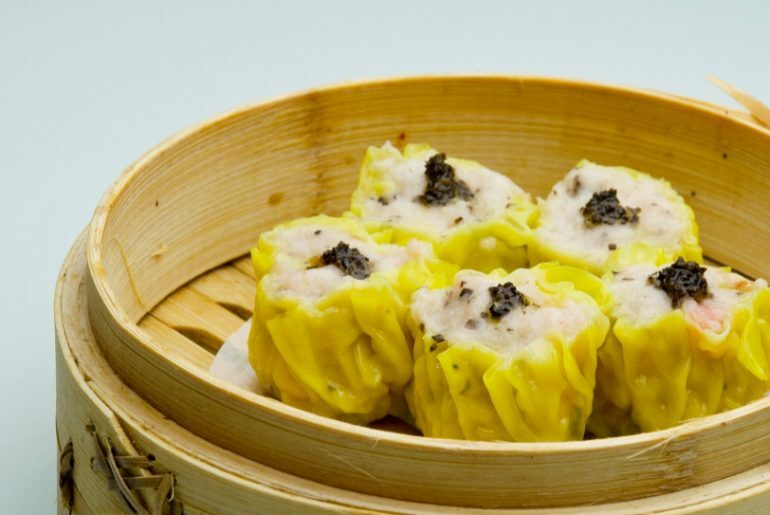 A staple of dim sum menus, these delicacies are already a crowd pleaser. Crab claws, stuffed with shrimp paste, are breaded and deep fried until golden and crisp. Drizzled with mayo and topped with tobiko, they’re ready for decadent gobbling. Part of the enjoyment of the Night Market is the sheer multicultural breadth of the eating bonanza. 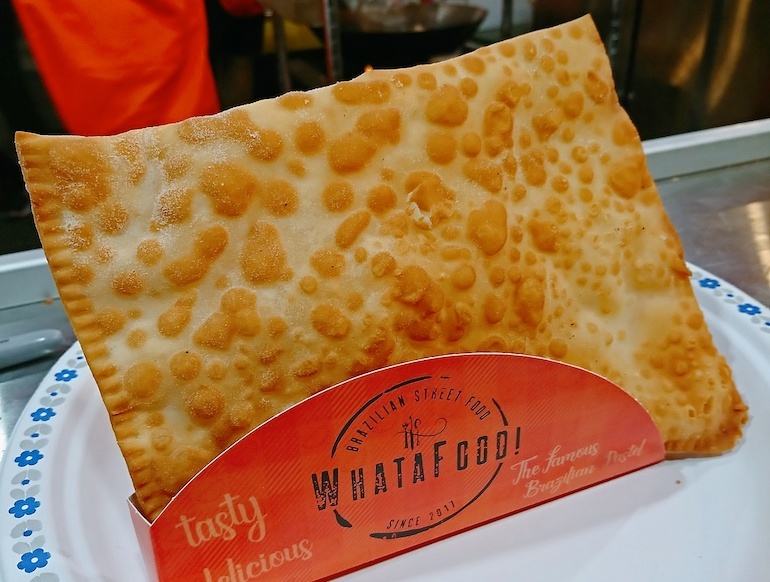 Whatafood specializes in Brazilian cuisine, with pão de queijo (cheese puffs) as well as a selection of pastéis, pastries that are stuffed and deep-fried. Whether filled with chicken, beef, smoked pork, or cheese, they’re simply delicious. With all the eating, you might get thirsty, especially for a drink that transports you somewhere warm and summery. The Tropical Bar takes whole pineapples and watermelons and uses them as drink containers for your slurping delight. It’s refreshing and fun, especially with the whimsical straws and decorations that accompany them. 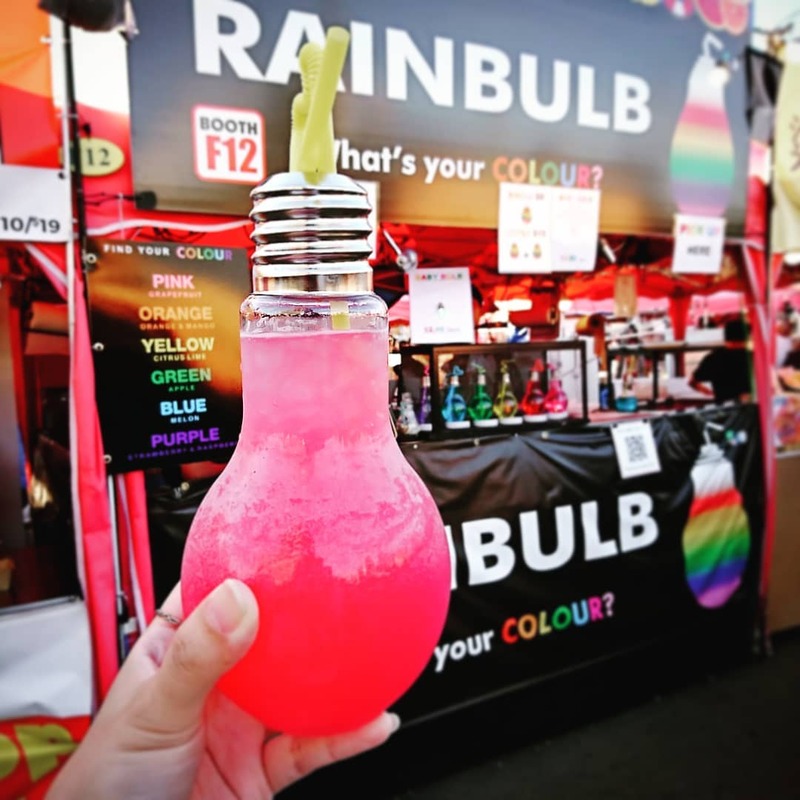 For another drinking twist, head to Rainbulb where you can order a brightly coloured fruit juice that comes in a cup that looks like a light bulb. Sip from the rainbow, with pink (grapefruit), orange (orange and mango), yellow (citrus lime), blue (melon), and purple (strawberry and raspberry) options. Plus, your beverage could help you navigate the market after sunset. 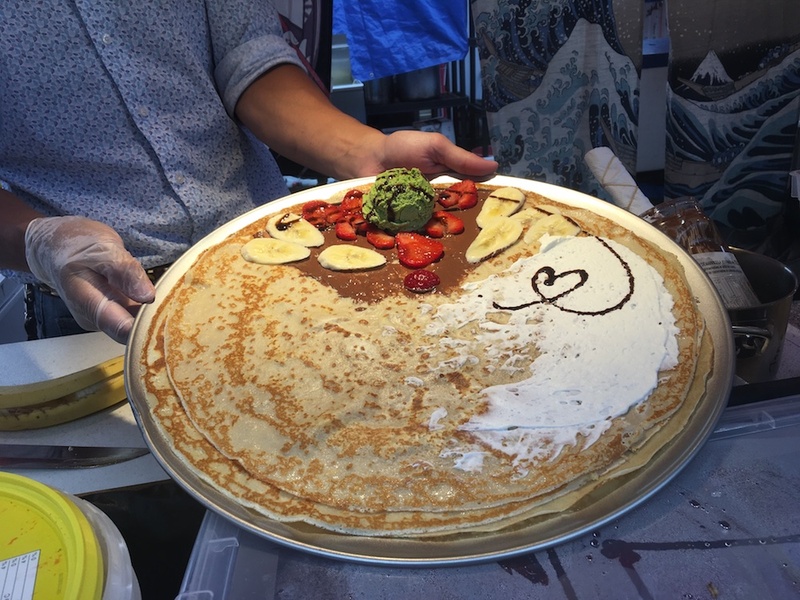 If you’re looking for something to satisfy your sweet tooth, Japanese Crêpe Sasuke offers different and original renditions of traditional French crêpes. It’s made-to-order, with fresh fruit wrapped inside, like bananas and strawberries, as well as other toppings, like green tea ice cream, whipped cream, and Nutella. The crêpe has a light, delicate texture, contrasting nicely with the other more substantial ingredients. Asomi Mochi handcrafts their own mochi enrobing fresh strawberries. The mochi comes in a selection of flavours (regular, matcha, chocolate, and purple yam) making these dessert treats not only aesthetically striking, but also palate-pleasing. In addition, they’re gluten-free and vegan, making them a great choice for a range of eaters. 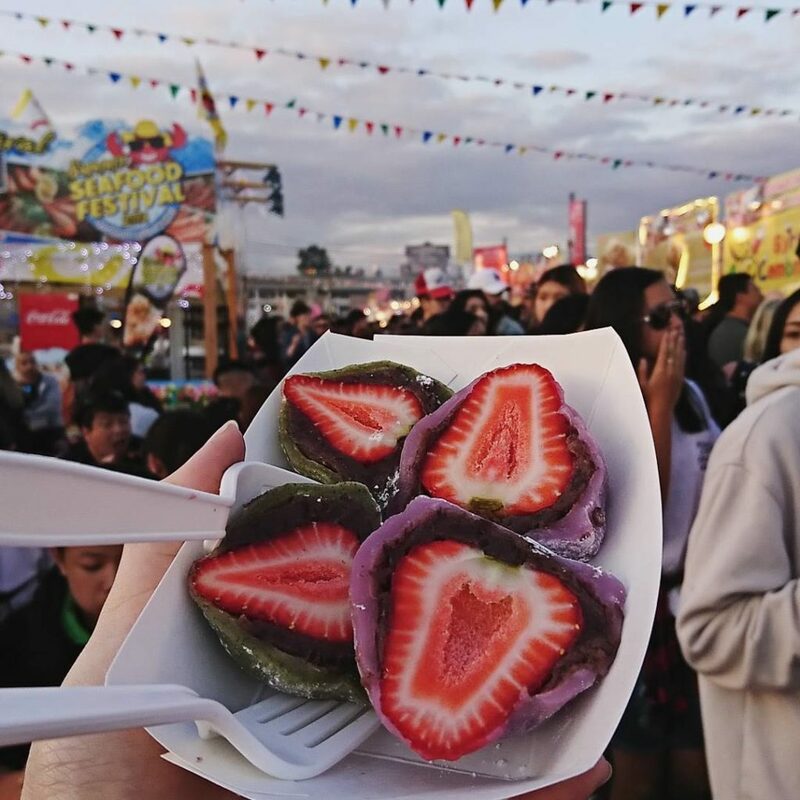 With October 8, 2018 fast approaching, it’s time to make a beeline for the Richmond Night Market and eat these items and more until you leave stuffed and happy. Further information can be found on-line.